I decided to make a different kind of afghan for my granddaughter. 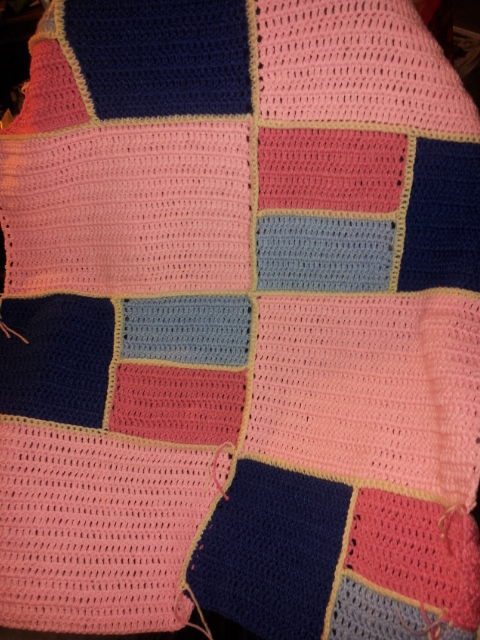 This is the beginning of the patchwork crochet blanket made in shades of pink and blue. 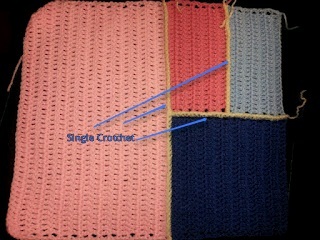 Each section of the blanket is made with four different patchworks. Two that measure 25 stitches x 7 rows, one that measures 25 stitches x 14 rows and one that measures 50 stitches by 16 rows. 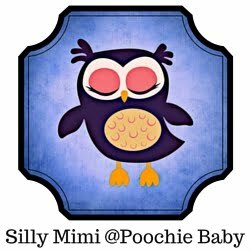 I made four of these sections and put them all together using SC. In the picture above, you see how the blanket is laid out from top to bottom. 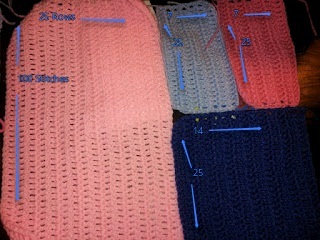 I plan to add another strip of 100 stitches by 7 rows at the top and bottom. The entire blanket will have edging the same color as the SCs. I'm not sure what I want for the final row of edging on this blanket yet. I have to think on that for a while. 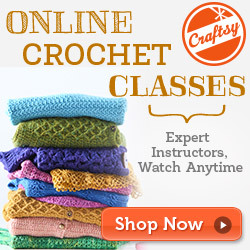 I'm usually partial to frilly edgings but I think this blanket needs a smooth edge. These final steps will make this blanket large enough for her to use well into her toddler years. Stay tuned for the next post showing the finished blanket!